Field team management can be significantly improved using some type of software program. Today there are plenty of field team management software solutions on the market that are designed to automate all the stages of retail execution process, from planning and scheduling of retail visits to analyzing results. The up-to-date field team management solutions provide companies with the capability to monitor field activities, getting time-stamped and GPS-confirmed data as soon as retail visits are being performed. Once you’ve decided to move your field team management to the next level, the following step is to choose the right type of software. To find a field team management solution that works best for your company and avoid getting overwhelmed by numerous software features, identify your specific needs and requirements to understand what exactly you need to automate. VisitBasis Field Team Management Solution was designed as an all-in-one system that integrates completely with every stage of field team management process. Providing the most complete set of tools for your business in one great package, VisitBasis Field Team Management Software meets the market demand for managing field activities, including CRM, order taking, paperless data collection, reporting and analyzing field team performance. 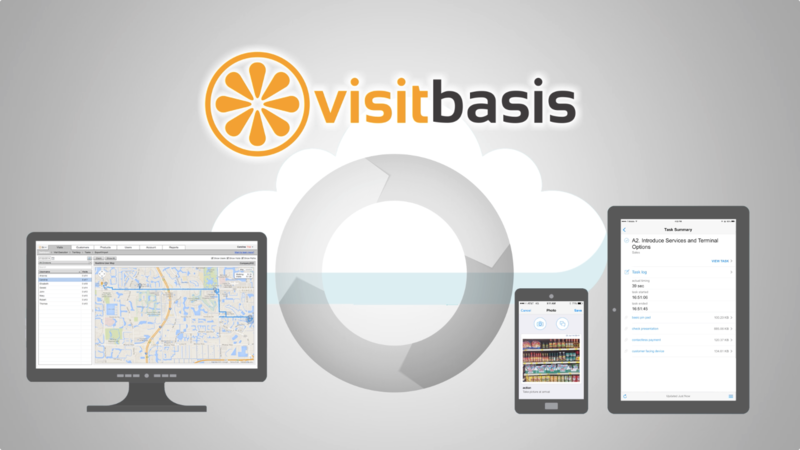 Through the implementation of a structured approach for retail visits and tasks, VisitBasis simplifies data collection and analysis. Manage products, mobile workforce, and customers in one place. All the information is stored in the Cloud and can be accessed from anywhere. Assign territories through easy mapping and schedule retail visits individually or in bulk with just a few clicks. Mobile App (for field sales reps and merchandisers). One rep can use many smartphone or tablet devices. The app has easy-to-use interface and works seamlessly on any device, Android or iOS. Use barcode scanner, electronic signature, multi-stock lists and other mobile tools to save time for tasks performance. Report back instantly without spending a minute, as all the data collected and orders taken are automatically synced with the office. Make your field team management more effective today by implementing the VisitBasis Field Team Management System. Get free access to our field force management software after registering at www.visitbasis.com. Sign up for a free trial today and schedule a free online demo to see how it works!